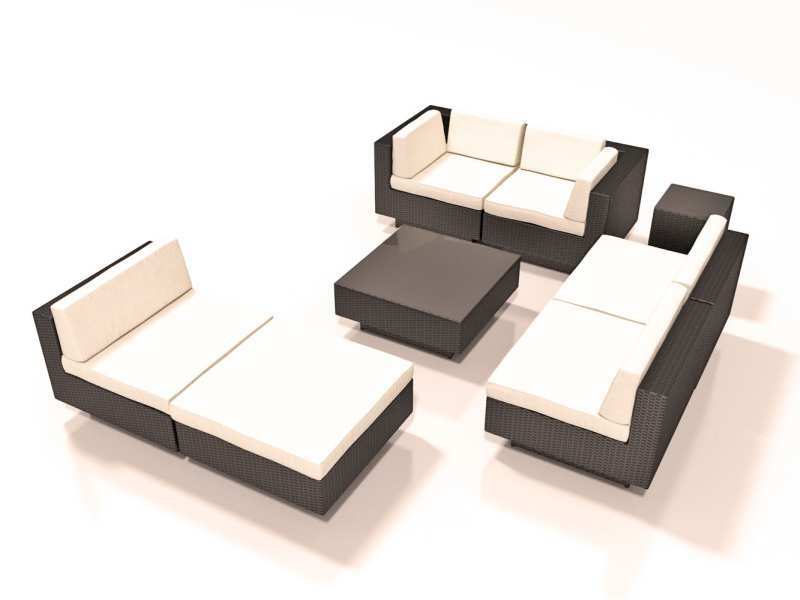 The LARENTIA Patio Lounge Suite is extremely easy on the eye and like all ARTELIA furniture it’s of a very high quality too. 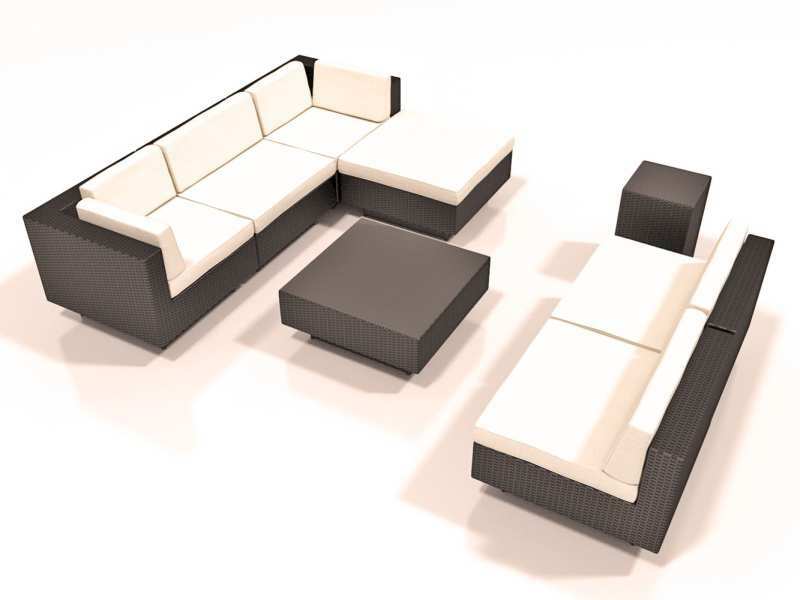 The rust free, powder coated aluminium frame is lightweight which makes it easy to move the different elements of the set around in case you fancy a change. 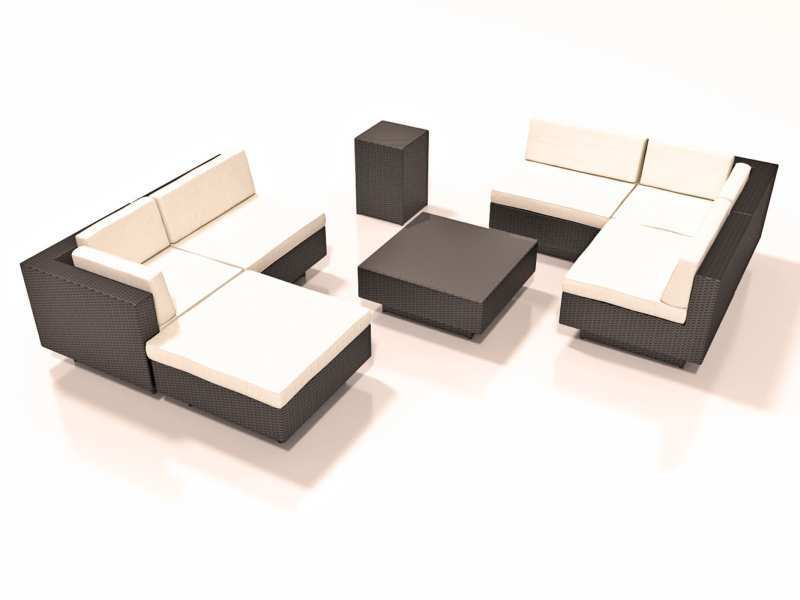 The suite is extremely versatile and can be rearranged in countless combinations. You can choose how you put the different elements together, depending on what you need for different occasions. 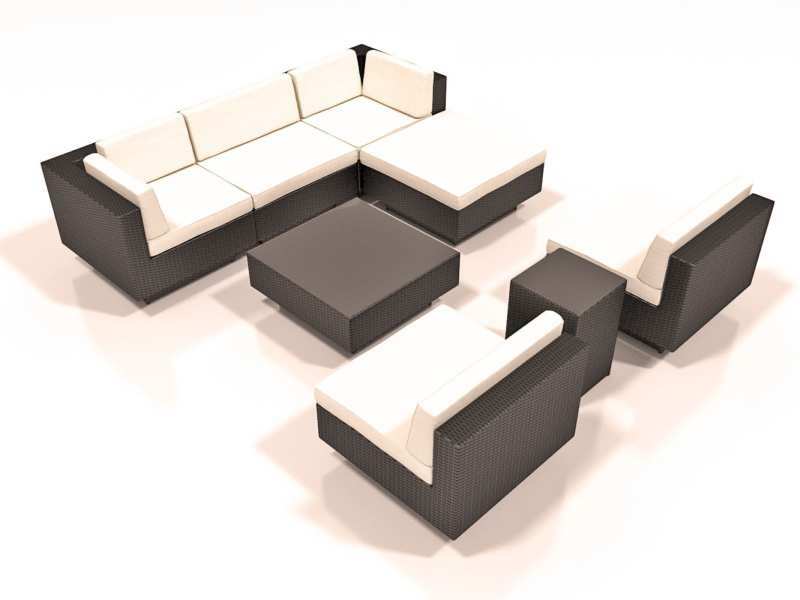 You could put all three middle parts together along with the 2 corner armchairs for an extra-large corner sofa for when you have visitors. 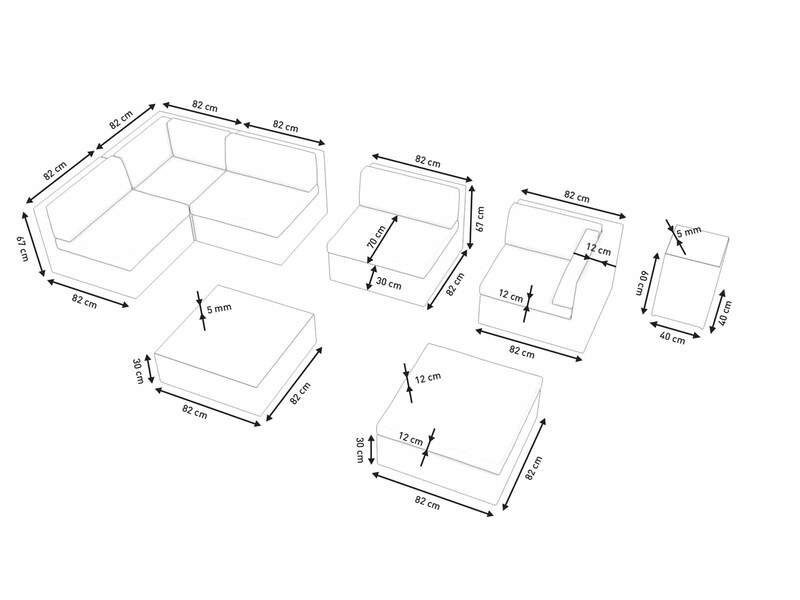 You could also make the couch even longer by adding the footstool on at the end and using it as a seat. 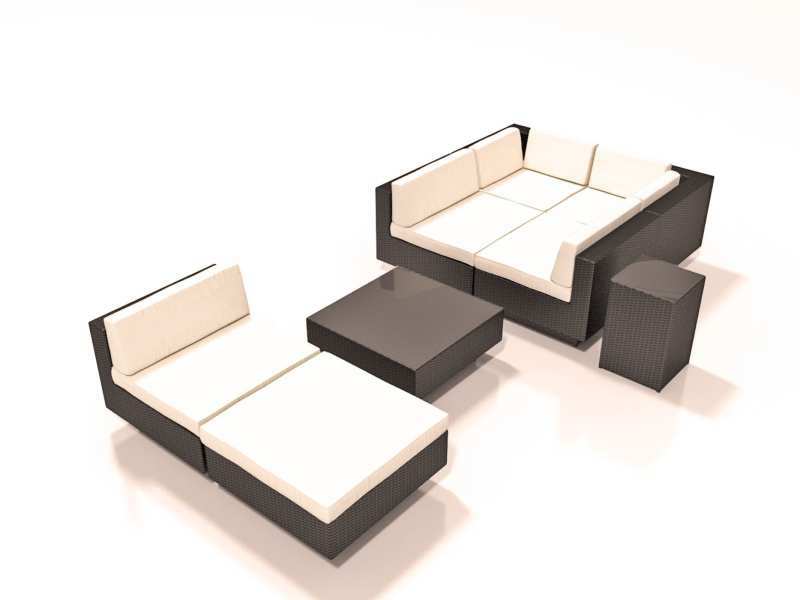 Or you could team one of the middle parts up with the foot rest to form a lounger so that you can lie back in the sun and work on your tan. 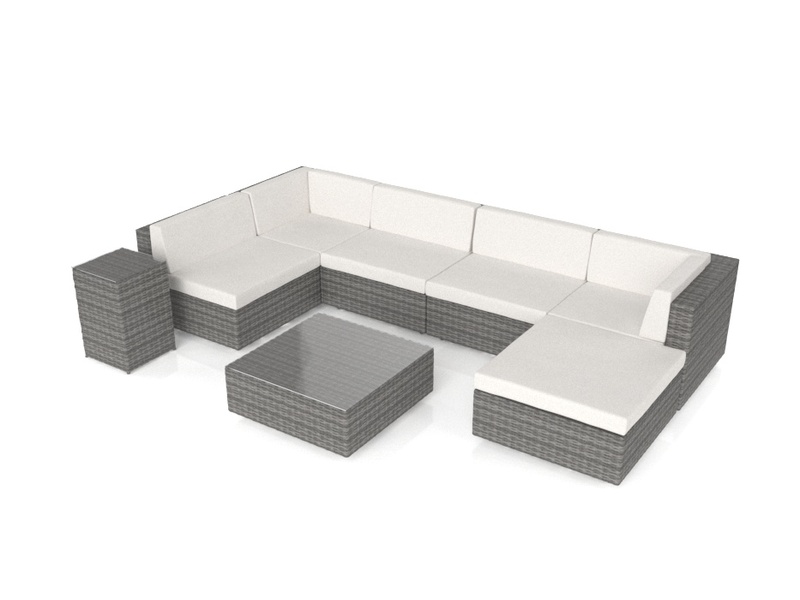 The taller table can be positioned beside your lounger and is the perfect height, meaning you don’t have to reach very far for your drink on a warm summers day! 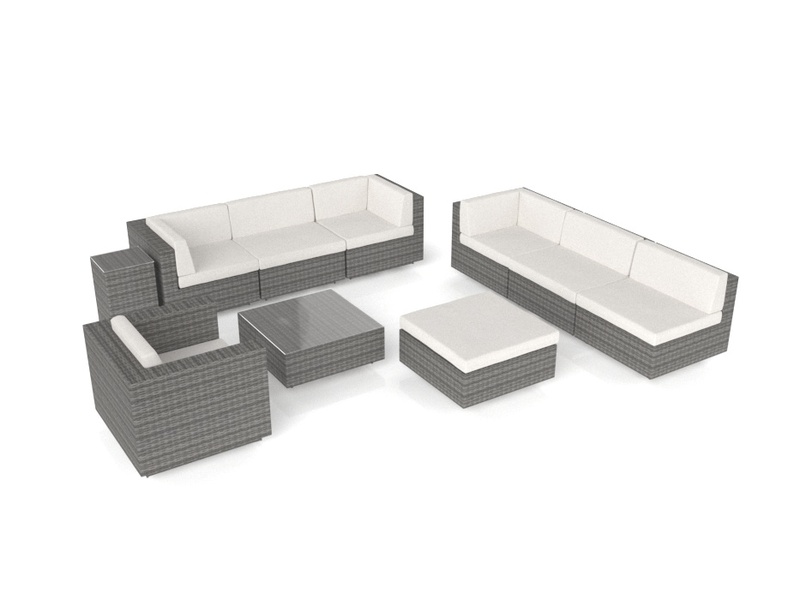 The robust, weather resistant and UV resistant rattan is hand-woven which makes the set one of a kind. 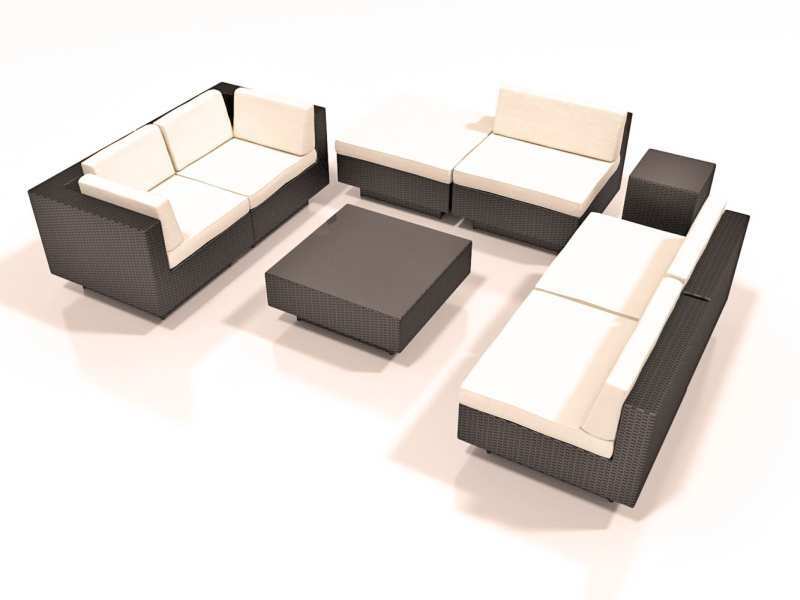 The LARENTIA Patio Lounge Suite is available in brown and black and the 12cm thick, UKFR (UK fire resistant) cream coloured cushions are included in the delivery. Make your garden the place to be this summer. 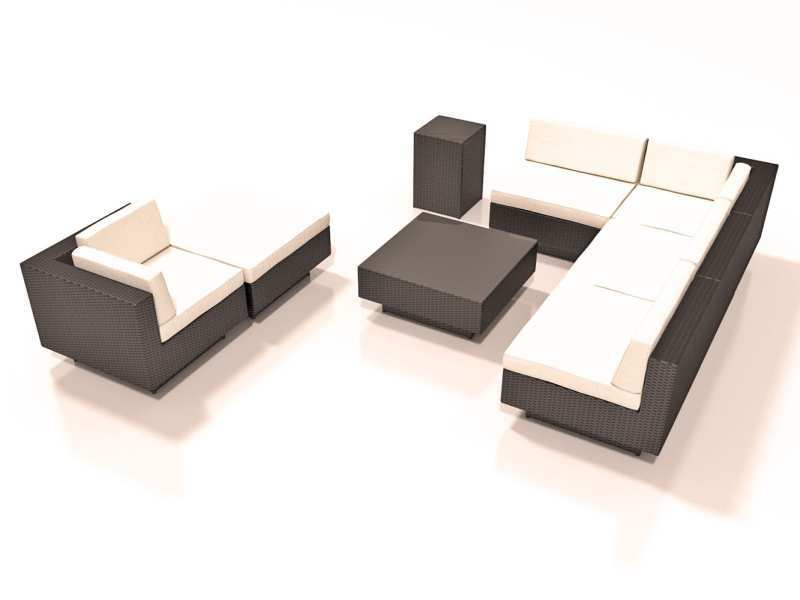 With the spacious design and versatile positioning possibilities of the LARENTIA Patio Lounge Suite, you really can’t go wrong! 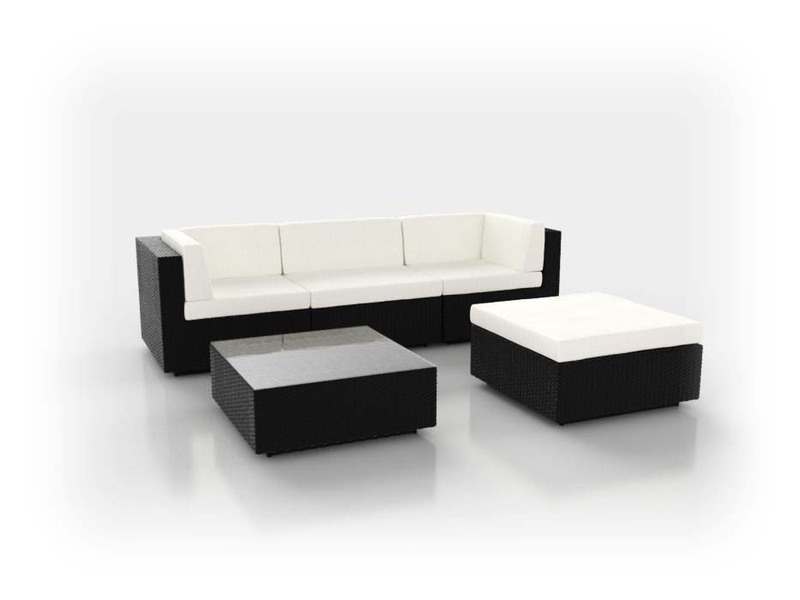 The LARENTIA Patio Lounge Suite’s cushion covers are 100% polyester and the cushion filling is foam.